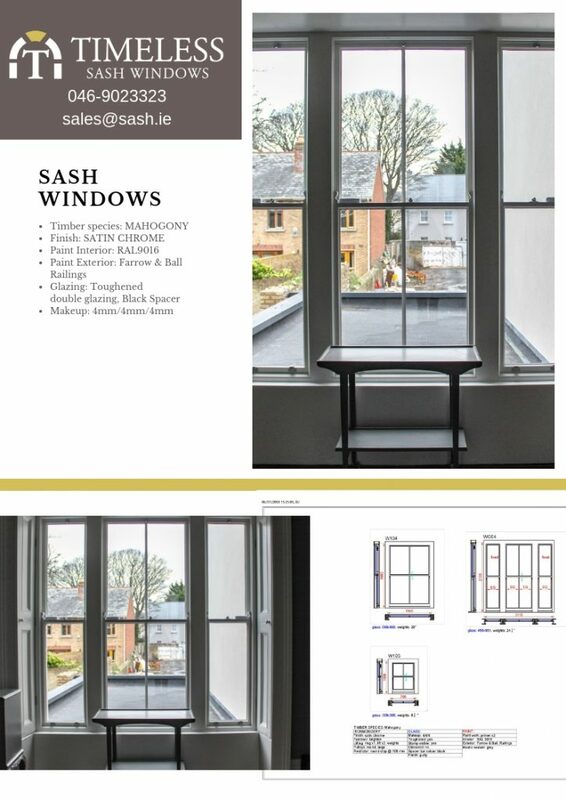 The sash window design process requires close collaboration between the sales team, project management team, factory production and window fitters and painters. The above infographic shows the various stages in the order that they happen and who will co-ordinate them to ensure a smooth flow and ultimately customer satisfaction. Sales person visits the property for an initial survey & advice. This will include preliminary measurements and site photographs. Patrick and Pearse are in charge of residential and commercial sales and enquiries. The sales person prepares the quote and sends to the client. Quote is approved by client. The project management team take over in the office, co-ordinated by Karen. Conor or Stephen will visit the property to take accurate measurements and assess the site. 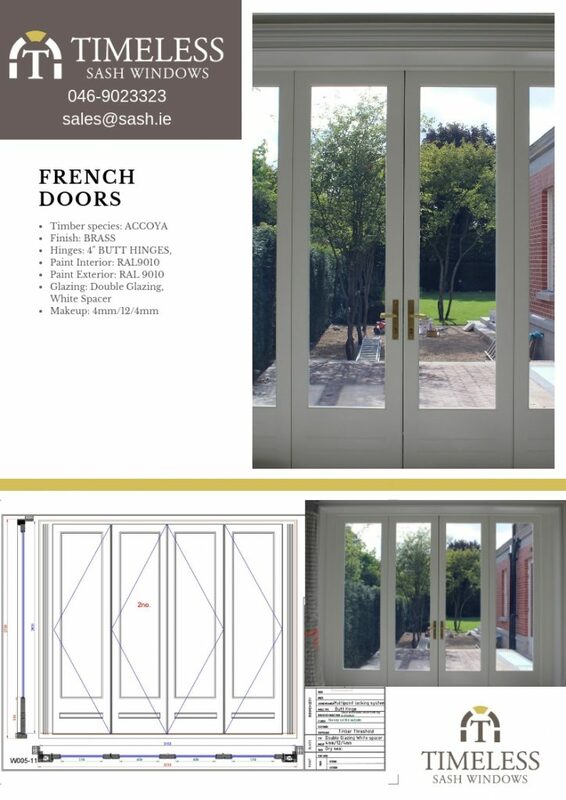 Each window/door will be given a reference code which will be used throughout the design, production and fitting process. 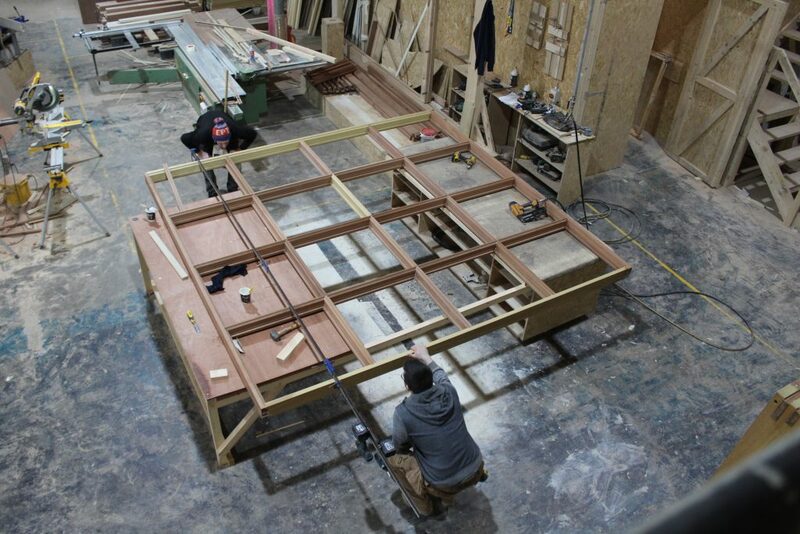 These accurate measurements are then given to Dom our highly skilled CAD technician. He draws the windows in CAD and includes all details of mouldings. 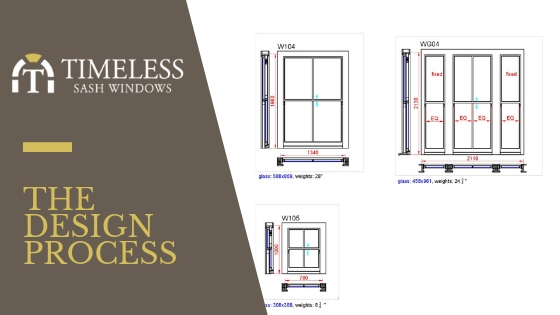 It can take one to two days to prepare the drawings for a project, no matter how many windows. The windows tend to follow a similar size in a building, so there may be 3 different designs and multiple windows of each. 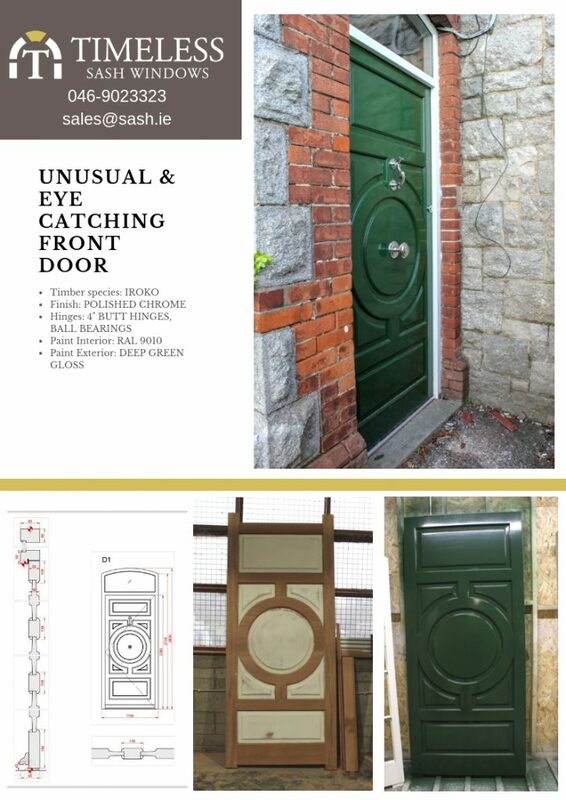 The drawings will include the important information regarding timber type, paint colour and ironmongery. This information comes from the client who Dom will assist by directing them to websites and provide other information to choose their styles. Drawings are sent to the client for approval. If they have any queries or need further explanation, Dom will be happy to discuss with them. Approved drawings are sent to the factory to go into production. Ollie manages the production schedule and the factory teams to ensure that the projects are managed in the correct sequence. Karen will co-ordinate between the factory and the client as to fitting dates. 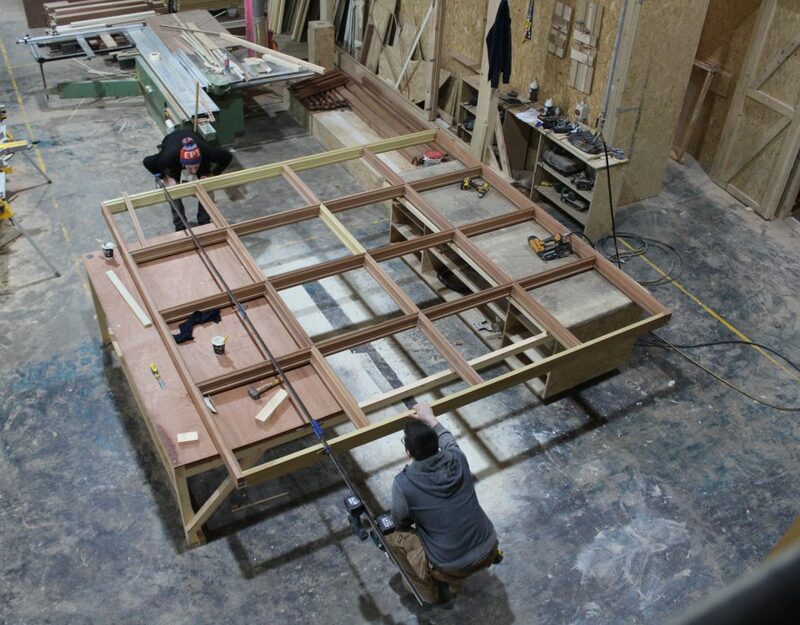 The whole process requires close co-operation between the sales team, the clients, drawings, manufacture and final fitting and painting.